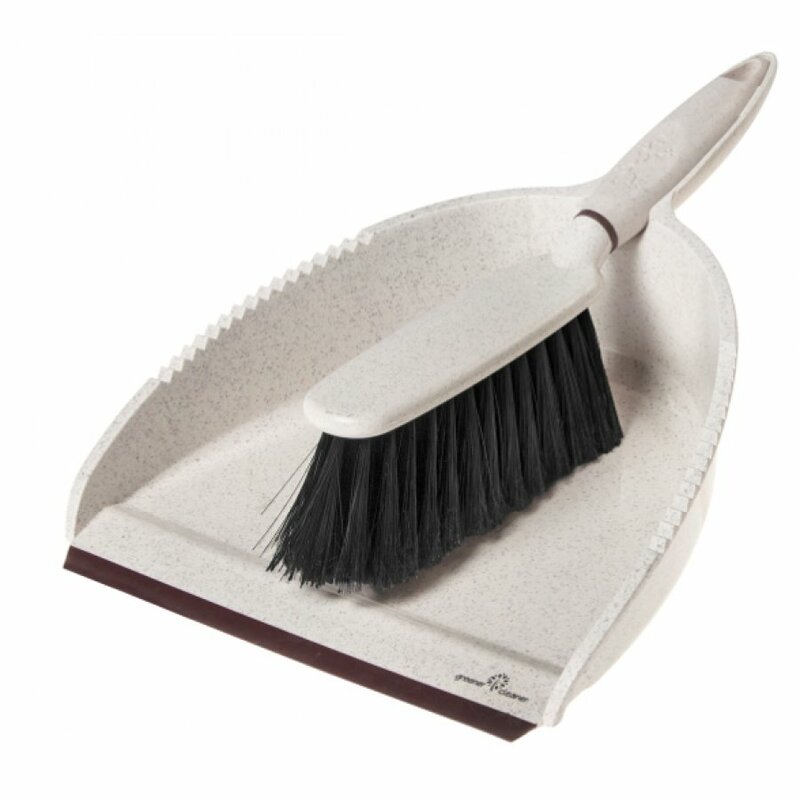 The Greener Cleaner high performance environmentally friendly dustpan and brush with durable brush fibres is a great way to clean all dust and dirt from floors and other surfaces around the home. Made from 100% wood pulp and recycled plastic with fleck finish using an eco-wood-blend technology. The Dust pan and brush clips together for easy compact storage and cleans all types of floors and surfaces around the house. The Greener Cleaner Dustpan & Brush - Cream product ethics are indicated below. To learn more about these product ethics and to see related products, follow the links below. Really pleased with this product not only made from recyled plastic but brushes flush with the pan to boot. Excellent quality -really sturdy but the design is not the most elegant and it cost quite a bit. 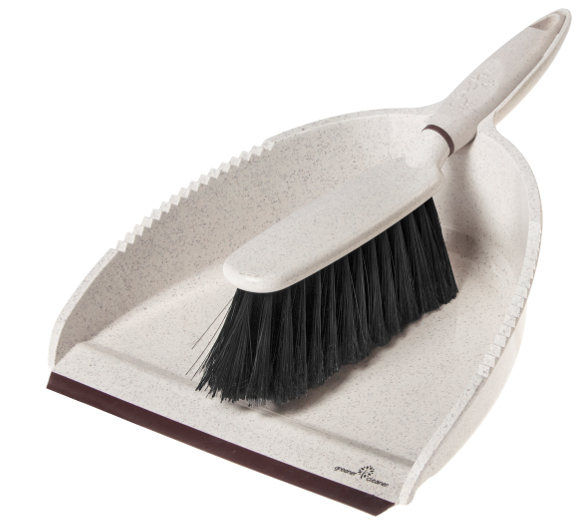 There are currently no questions to display about Greener Cleaner Dustpan & Brush - Cream.